EDTA chelation may be one of the most effective, least expensive, and safest treatments for heart disease ever developed, yet it is practiced by perhaps only 2,000 physicians in the United States. EDTA chelation is not typically covered by medical insurance, even though insurance companies would save billions of dollars each year if they did. EDTA chelation is a therapy by which repeated administrations of a weak synthetic amino acid (EDTA, ethylenediamine tetra-acetic acid) gradually reduce atherosclerotic plaque and other mineral deposits throughout the cardiovascular system by literally dissolving them away. 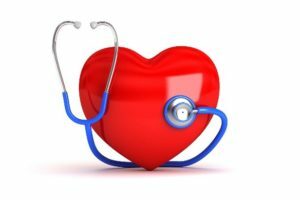 EDTA chelation has frequently been compared to a “Roto-Rooter” in the cardiovascular system, because it removes plaque and returns the arterial system to a smooth, healthy, pre-atherosclerotic state. A better metaphor might be “Liquid-Plumr,” because, where Roto-Rooter violently scrapes deposits off the interior surfaces of your plumbing with a rapidly rotating blade, Liquid-Plumr simply dissolves them away. Roto-Rooter is a far better metaphor for conventional medical treatments for heart disease, all of which are closely tied to the concept of the cardiovascular system as plumbing. When a pipe/artery gets clogged, simply ream it out or flatten the deposits (angioplasty). If that doesn’t work, just cut away the bad section(s) and replace it (them) with a new piece of pipe (coronary artery bypass graft, or CABG). It’s the same basic strategy older cities use for replacing their century-old water mains. It is commonplace for physicians who regularly prescribe EDTA chelation to encounter heart disease patients who have failed all the standard treatments but who make remarkable recoveries once given EDTA. Other patients, on waiting lists for CABG surgery, found they did not need the surgery following a series of EDTA chelation treatments.CABG, known affectionately in the medical profession as “cabbage,” is the most frequently performed surgery in the United States. At up to $50,000 per procedure, that indeed amounts to a lot of “cabbage,” not only for cardiac surgeons but also for hospitals. As we shall see, these figures provide a powerful incentive for physicians to reject an effective, but inexpensive and unpatentable treatment like EDTA chelation. Because EDTA is so effective at removing unwanted minerals and metals from the blood, it has been the standard “FDA-approved” treatment for lead, mercury, aluminum and cadmium poisoning for more than 50 years. EDTA normalizes the distribution of most metallic elements in the body. Because EDTA inhibits blood clotting so well, it is routinely added to blood samples that are drawn for testing purposes. EDTA improves calcium and cholesterol metabolism by eliminating metallic catalysts that can damage cell membranes by producing oxygen free radicals. Researchers first started to notice EDTA in the days during and after World War II when men who worked in battery factories or painted ships with lead-based paint began coming down with lead poisoning from their high exposure in these jobs. EDTA was found to be extremely effective for removing the lead from the men’s bodies, but what really made people sit up and take notice was an apparent reduction in symptoms of heart disease in many of these men. Grafted coronary arteries are more than 10 times as likely to close up again within 3 years compared with coronary arteries that are not replaced with a graft.7 Improved blood flow following EDTA chelation therapy is permanent as long as regular EDTA therapy (either oral or I.V.) is maintained. Of course, there have been a few studies that did not (at first) seem to support the efficacy of EDTA chelation therapy. The most prominent apparently well-controlled studies have been two Danish trials 20,21 and a New Zealand trial,22 all of which reported no apparent benefits. A close analysis of these studies, however, revealed problems with both the controls and the interpretation of the data. As noted by Chappell and Janson,6 the standard EDTA chelation treatment protocol was not followed in these trials. They all included primarily smokers (notoriously poor responders) with severe vascular disease who received only 20 I.V. treatments. With such patients, 30 to 40 treatments are normally required before a significant effect is typically seen. Although the New Zealand trial was supposedly placebo-controlled, the “placebo” used actually had chelating properties of its own. Thus, the fact that the differences from “placebo” were small is meaningless. When the raw data from the New Zealand study were examined, it was found that 26% of the EDTA-treated patients compared with only 12% of the “placebo” controls achieved an improvement of greater than 100% in walking distance; among nonsmokers or smokers who had quit, 66% of the EDTA-treated group increased their walking distance an average of 86% compared with 45% of the controls, who improved by just 56%. Reduced blood flow, as measured by the ankle/brachial index, was found in 6% of the EDTA-treated patients and 35% of the controls. Although the authors of these studies reached negative conclusions, in fact, their data actually supported the use of EDTA chelation. How Safe Is EDTA Chelation? EDTA, is a safe, nontoxic substance. The LD50 (so called when the dose will kill 50% of experimental animals) for EDTA is 2000 mg/kg body weight, which makes it about 3.5 times less toxic than aspirin. Although the FDA refuses to approve it for treating vascular disease, EDTA chelation has been the approved treatment for lead or other heavy metal poisoning for 50 years. When administered according to the treatment protocol developed by the American College for Advancement in Medicine (ACAM), I.V. chelation is more than 300 times safer than CABG surgery. Most side effects of treatment involve minor discomfort (e.g., nausea, dizziness, headache) that resolves quickly. The greatest risks occur when an infusion is given too rapidly or in too large a dose. These risks virtually vanish when EDTA is administered by a properly trained physician who follows the ACAM protocol. To the extent that oral EDTA is a completely noninvasive therapy, it is even safer than I.V. EDTA. Most chelation therapy carried out today involves I.V. administration of EDTA, however, oral EDTA, which has a history at least as long as its I.V. cousin, is an option that is only now starting to be appreciated. Clinical experience suggests that oral chelation provides some, but not all, of the benefits of I.V. therapy. Overall, the difference in benefits is more one of degree and speed than of quality. Oral EDTA is not meant to replace I.V. therapy for those people who have serious vascular disease. It is very useful, though, for people who have completed an I.V. course and want to stay on a maintenance program, for people who “for whatever reason” are unable or unwilling to undergo I.V. chelation, and for those whose I.V. treatments may have been interrupted. It is unlikely that any other issue in modern medicine has been more highly politicized than that of EDTA chelation therapy, and it is clear that most of the opposition to EDTA is due to the threat this therapy represents, not to patients’ health but to the bank balances of orthodox physicians, pharmaceutical companies, and hospitals. Treating cardiovascular diseases is big business in the United States (and the rest of the Western world), bringing in tens of billions of dollars each year. As Garry Gordon, MD, DO, the “Father of Chelation Therapy” has pointed out, “Every time a surgeon does a heart bypass, he takes home a luxury sports car.” Each CABG procedure costs between $25,000 and $50,000; each angioplasty costs about $15,000; drugs for reducing cholesterol, lowering high blood pressure, and normalizing heart rhythm bring the pharmaceutical industry hundreds of millions of dollars each year. And these are just the most common examples. What happens when you add EDTA chelation therapy to this mix? Given these figures, it’s not hard to understand why the medical profession is so in love with CABG and related procedures. As one physician noted, “It pays the bills.” So enamored are they of these procedures that they perform them even when they are not necessary. In an article published in no less prestigious a publication than the Journal of the American Medical Association, the authors concluded that only 56% of the surgeries performed were for appropriate reasons, 30% for equivocal reasons, and 14% for inappropriate reasons. The percentage of appropriate surgeries varied from 37% in some hospitals to 78% in others.25 When you consider that even when it is “appropriate,” CABG surgery is no better than conventional medical treatments for improving survival,5 you have to wonder whether the real “miracle” of heart surgery does not entail bringing people back from death’s door, as much as turning a common chronic degenerative disease into a source of outrageous fortune. If you needed one example of why the cost of health care has gone into earth orbit, you need look no further than the conventional treatment of heart disease. You can be certain that if EDTA had a large pharmaceutical company advocating its use, these problems would quickly evaporate. But since the patent for EDTA ran out nearly 30 years ago, there are no huge profits to be made from marketing it. With no pot of gold at the end of the EDTA rainbow, no one is going to put up the hundreds of millions of dollars required to do the randomized, double-blind, placebo-controlled clinical trials required to get the FDA to approve EDTA for vascular disease. And with few large, randomized, double-blind, placebo-controlled clinical trials to refer to, the conventional medical establishment feels justified in condemning EDTA therapy as “unproven.” It’s a familiar “Catch 22” that faces all natural or unpatentable therapies. While most American physicians choose to remain blind to the benefits of EDTA, those who prescribe it are free to witness its life-enhancing benefits on a daily basis. One of those physicians is Dr. Garry Gordon, whose own life was saved by EDTA and who has been a leader in chelation therapy since the early 1960s. “I have taken on patients who were inoperable, who had already had every known form of bypass surgery, who had no more veins in their legs to strip out and put into their heart, and who were sent home to die, and I could get those people back to full functioning,” says Dr. Gordon. Clarke NE, Clarke CN, Mosher RE. Treatment of angina pectoris with disodium ethylene diamine tetraacetic acid. Am J Med Sci.1956;December:654-666. 2. Meltzer LE, Ural E, Kitchell JR. The treatment of coronary artery heart disease with disodium EDTA. In: Seven M, ed. Metal-Binding in Medicine.Philadelphia: JB Lippincott; 1960. 3. Edmunds LH, Stephenson LW, Edie RN, Ratcliffe MB. Open-heart surgery in octogenarians. N Engl J Med.1988;319:131-136. 4. CASS Principal Investigators and the Associates. Coronary artery surgery study (CASS): a randomized trial of coronary artery bypass surgery: Survival data. Circulation. 1983;68:939-950. 5. CASS Principal Investigators and the Associates. Myocardial infarction and mortality in the Coronary Artery Surgery Study randomized trial. N Engl J Med. 1984;310:750-758. 6. Chappell LT, Janson M. EDTA chelation therapy in the treatment of vascular disease. J Cardiovasc Nurs. 1996;10:78-86. 7. Cashin WL, Sanmarco ME, Nessim SA, Blankenhorn DH. Accelerated progression of atherosclerosis in coronary vessels with minimal lesions that are bypassed. N Engl J Med. 1984;311:824-828. 8. Arom KV, Cohen DE, Strobl FT. Effect of intraoperative intervention on neurological outcome based on electroencephalographic monitoring during cardiopulmonary bypass. Ann Thorac Surg. 1988;48:476-483. 9. Olszewer E, Carter JP. EDTA chelation therapy in chronic degenerative disease. Med Hypotheses. 1988;27:41-49. 10. Holliday HJ. Carotid restenosis: A case for EDTA chelation. J Adv Med. 1996;9. 11. Parisi AF, Folland ED, Hartigan PA. Comparison of angioplasty with medical therapy in the treatment of single-vessel coronary artery disease. N Engl J Med. 1992;326:10-16. 12. Chappell LT, Stahl JP. The correlation between EDTA chelation therapy and improvement in cardiovascular function: a meta-analysis. J Adv Med. 1993;6:139-160. 13. Olszewer E, Carter JP. EDTA chelation therapy in chronic degenerative disease. Med Hypotheses. 1988;27:41-49. 14. Olszewer E, Sabbag FC, Carter JP. A pilot double-blind study of sodium-magnesium EDTA in peripheral vascular disease. J Natl Med Assoc. 1990;82:173-174. 15. Rudolph CJ, McDonagh EW, Barber RK. A non-surgical approach to obstructive carotid stenosis using EDTA chelation. J Adv Med.1991;4:157-166. 16. Rudolph CJ, Samuels RT, McDonagh EW. Visual field evidence of macular degeneration reversal using a combination of EDTA chelation and multiple vitamin and trace mineral therapy. J Adv Med. 1994;7:203-212. 17. Casdorph HR. EDTA chelation therapy, II: efficacy in brain disorders. J Holist Med. 1981;3:101-117. 18. Casdorph HR. EDTA chelation therapy: efficacy in arteriosclerotic heart disease. J Holist Med. 1981;3:53-59. 19. Hancke C, Flytie K. Benefits of EDTA chelation therapy on arteriosclerosis. J Adv Med. 1993;6:161-172. 20. Sloth-Nielsen J, Guldager B, Mouritzen C, et al. Arteriographic findings in EDTA chelation therapy on peripheral arteriosclerosis. Am J Surg. 1991;162:122-125. 21. Guldager B, Jelnes R, Jorgensen SJ, et al. EDTA treatment of intermittent claudication – a double-blind, placebo-controlled study. J Intern Med. 1992;231:261-267. 22. van Rij AM, Solomon C, Packer SGK, Hopkins WG. Chelation therapy for intermittent claudication: a double-blind, randomized, controlled trial. Circulation. 1994;90:1194-1199. 23. Schachter MB. Overview, historical background and current status of EDTA chelation therapy for atherosclerosis. J Adv Med.1996;9:159-177. 24. Gundy P. Cardiovascular diseases remain nation’s leading cause of death. JAMA. 1992;267:335-336. 25. Winslow CM, Kosecoff JB, Chassin M, Kanouse DE, Brook RH. The appropriateness of performing coronary artery bypass surgery. JAMA. 1988;260:505-509.